Deep ruby color; red fruits, plum on the nose; plum, ripe red fruits, blackberry, tea, redcurrant tang, baking spice on the palate. Dry; decent acidity (3.73 pH), relaxed tannins. Nicely polished, smooth easy drinker at sensational price point. Minimum oak—aged in stainless steel and neutral French and American oak for more than 10 months to preserve fresh fruit and soften the wine, but ripe—almost jammy—fruits dominate in this wine. Blend of mostly merlot and syrah with some other varieties, including petit verdot and petite syrah thrown in. 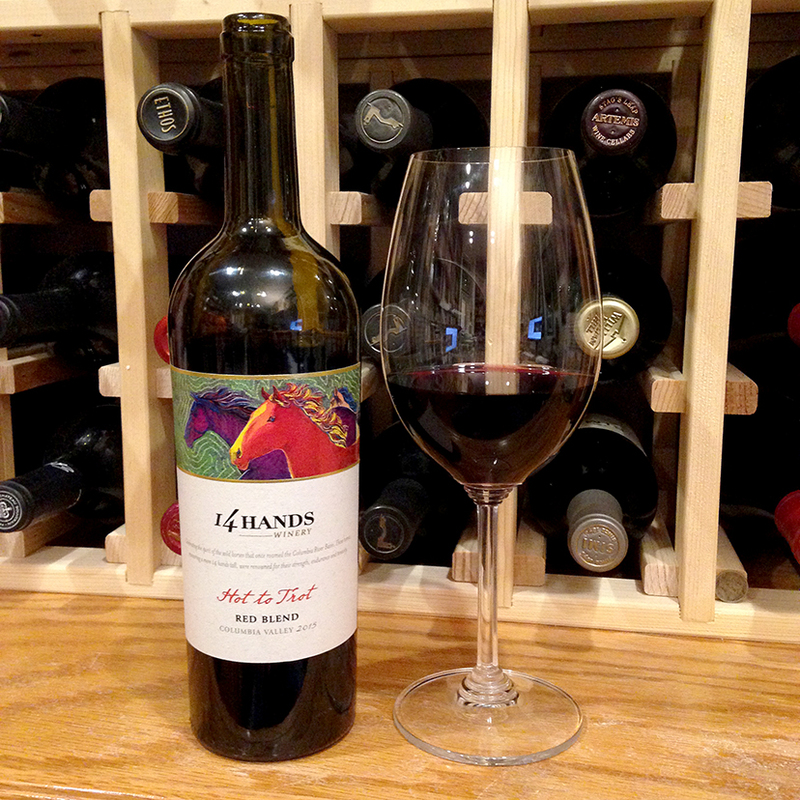 This is not overly complex or nuanced wine, but it is supple and delicious with its round, ripe fruit-forward flavors. Winemaker Keith Kenison is advocate of letting fruit express itself with minimum manipulations. 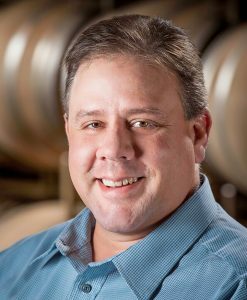 He says his goal is to make “wines that people enjoy drinking… so we often make decisions throughout the winemaking process based purely on taste. In the end, we want our wines to be smooth and fruit-forward, yet bold and complex.” Hot to Trot is the entry level red—there are more expensive reserve wine expressions of 14 Hands—so complexity is not Hot to Trot’s forte, but smooth, easy, fruit-forward drinkability certainly is there. 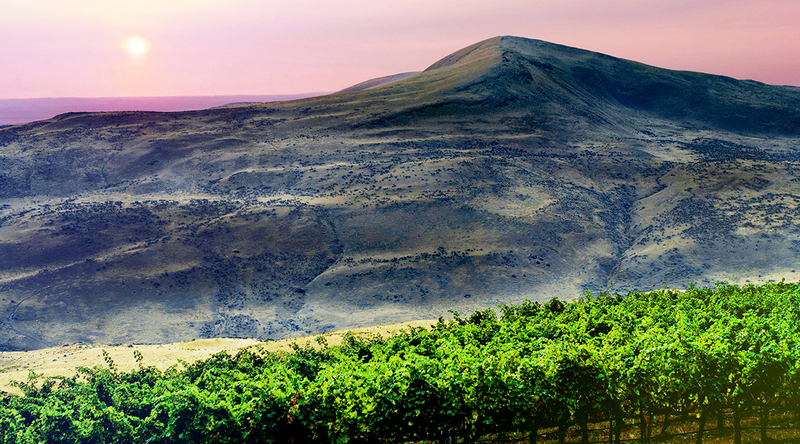 The winery is located in southeastern Washington at the base of the Horse Heaven Hills—thus the genesis of the name. 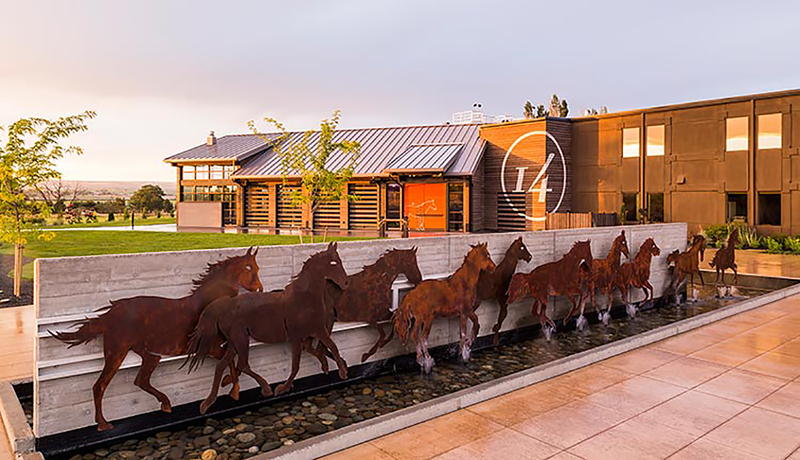 Wild mustangs—only 14 hands high—trotted from the hills to drink from the Columbia River. 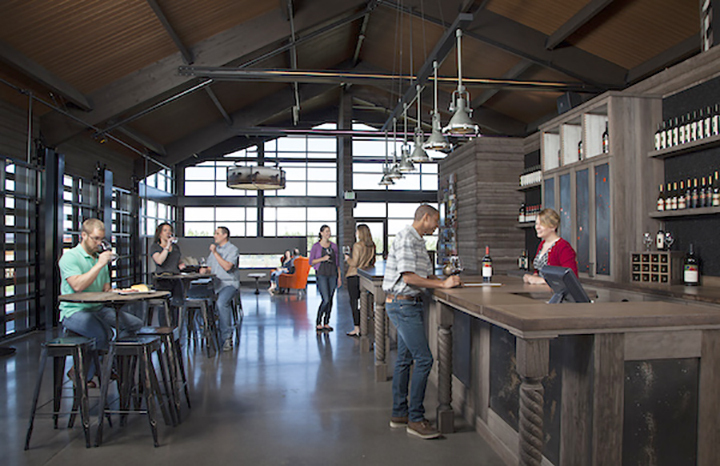 Although now it is its own division and winery, 14 Hands is part of Ste. Michelle Wine Estate, Washington’s oldest and largest winemaker. The overall parent company is Altria, formerly known as Phillip Morris. If you are interested in the arcane, 14 hands is 56-58 inches, the smallest height for a horse. Height is measured from the ground to the highest point on the horse’s withers—the hump in the back above the front legs. An animal less than 14 hands is a pony. A big horse could be 76 inches (18.2 hands). And, yes, the “hand” measurement comes from the span of a human hand—four inches.